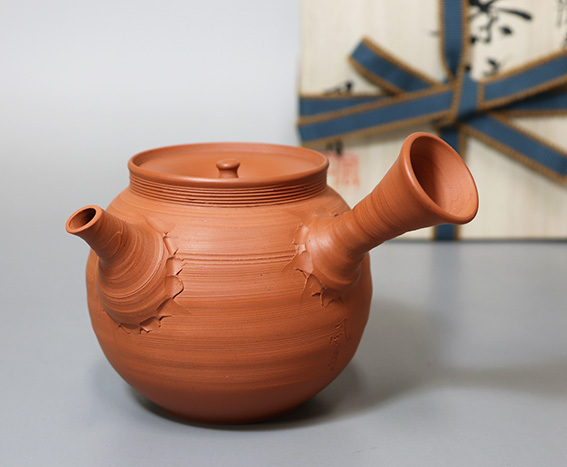 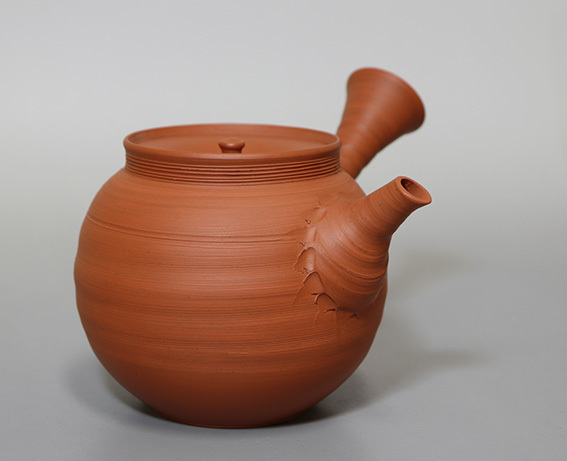 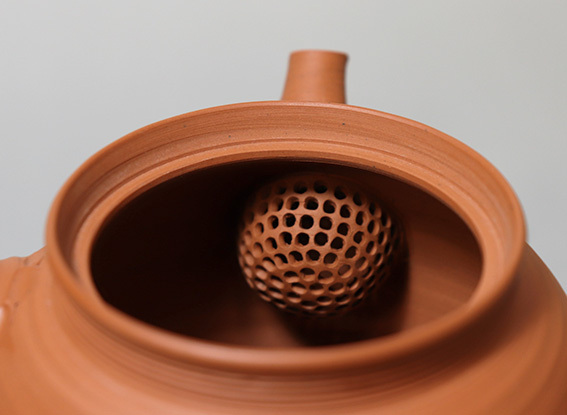 Fugetsu uses original Tokoname clay in its unblended form for this artistic teapots line ( ie. 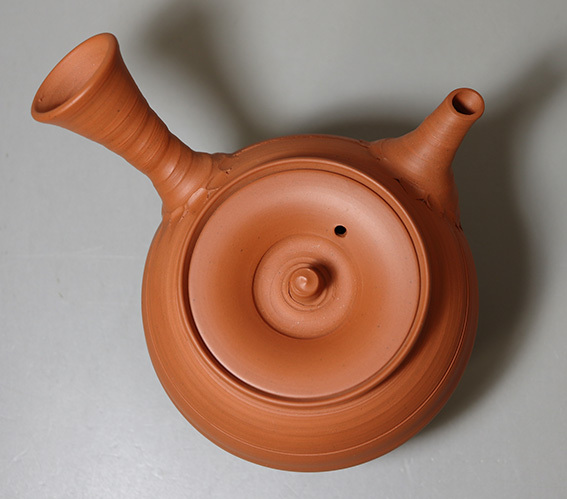 one-off pieces). 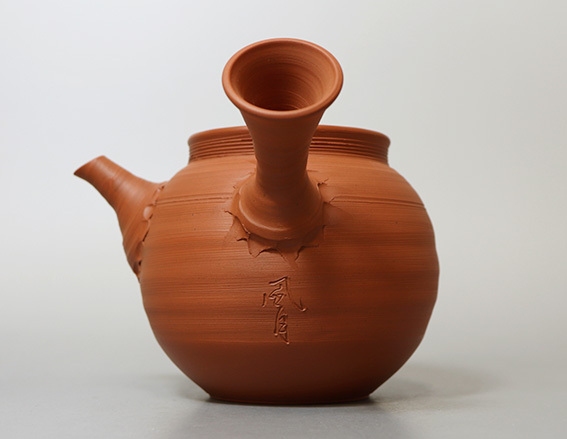 He does this in order to recreate the atmosphere of the pieces created by his old master, Jozan III. 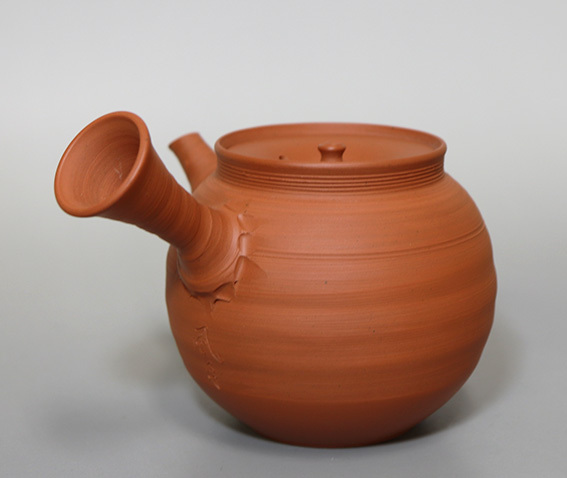 Using the clay also means that the traditional methods of processing, such as levigation can be passed down to his apprentices who are currently processing the clay by hand. 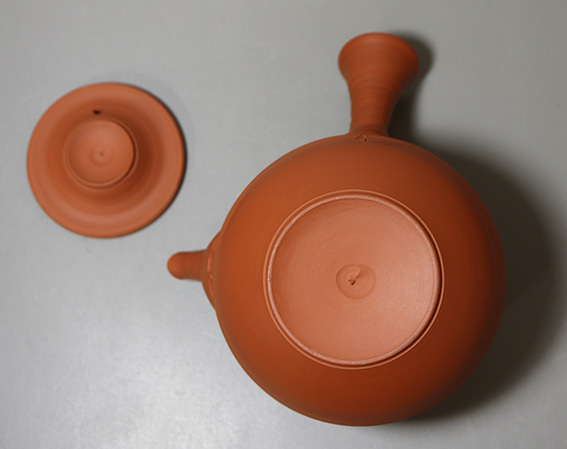 The color of the finished pieces is a little lighter than his usual Shudei teapots. 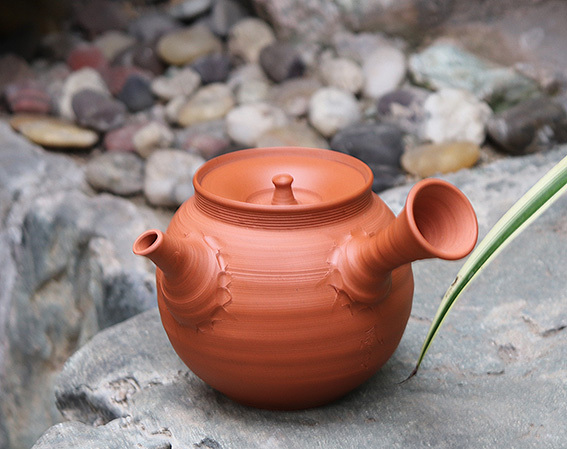 Handmade by craftsman Murakoshi Fugetsu, who learned his craft from Yamada Jozan III, a National Living Treasure and recipient of numerous prestigious prizes. 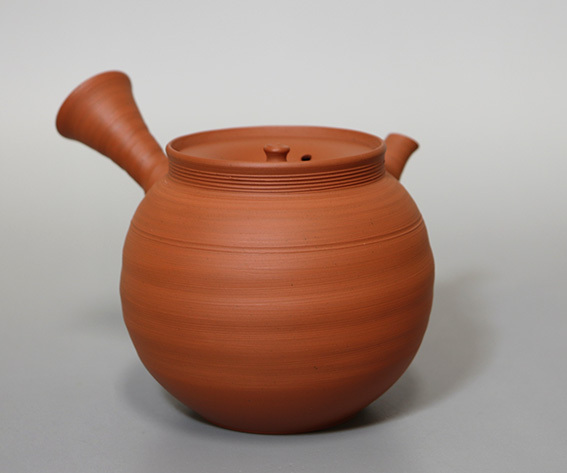 Height: 9.4 cm / 3.7"